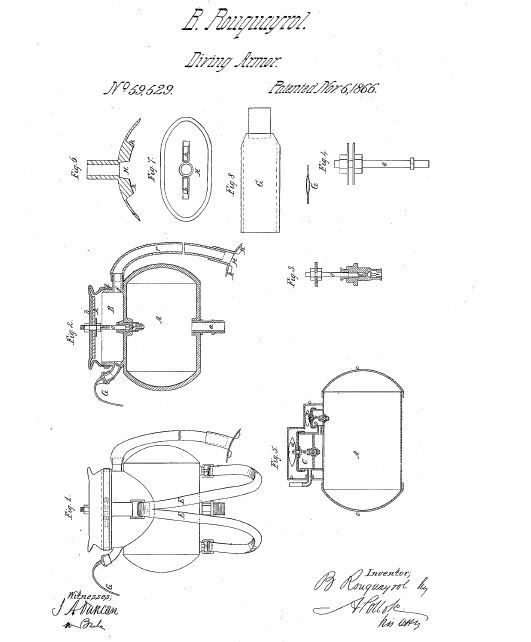 In 1866, Benoit Rouquayrol patented his invention with the US Patent Office. It is filed under Improvement in regulating the flow of gases in apparatus for diving. It is described as to regulate the flow of compressed gases, and to furnish to the diver or workman who employs it respirable air under a pressure equal to that of the medium in which he is.